A one-time member of the West Coast neo-psychedelic bands the Three OClock and Jellyfish, Jason Falkner went out on his own by 1996, playing jagged power pop with impeccable arrangements, a clue to both his classically trained childhood and additional time spent working on the first LP by another classical popster, Eric Matthews. Born in Los Angeles in 1968, Falkner grew up listening to West Coast pop bands like Love and Crosby, Stills & Nash but later began taking piano lessons in preparation for a classical career. Pop music regained control of his life when he discovered his sisters punk/new wave collection, and Falkner began playing the guitar, later appearing in several bands from his high school. 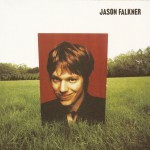 Not long after graduation, Falkner joined the Three OClock, leaders of the Los Angeles Paisley Underground scene, for their major-label debut (but sixth LP overall), 1988s Vermillion. Though solid, the album was unfortunately their last, and the band broke up soon after. Less than a year later, Falkner was convinced by an old friend, Roger Manning, to move up to San Francisco to join his new band Jellyfish with brother Chris and Andy Sturmer. Though the group gained recognition in alternative circles and released a pleasing debut album, Falkner was unhappy with his role in the band, that of guitarist (and not much else), so he left the band after the one album. Vowing to never play in another band again, he bent the promise not long after by joining the loose collective known as the Grays, four musicians who hated the confines of most groups and thus decided to do everything in their power to avoid the pitfalls. Being such a laid-back band, however, resulted in the release of just one album, 1994s Ro Sham Bo. Again on the dole, Falkner worked with Eric Matthews on the 1996 LP Its Heavy in Here, and finally got what he had been looking for all the time: a solo deal. Through Elektra Records, he released his acclaimed debut Presents Author Unknown, also in 1996. The following year, he played on Matthews second album, The Lateness of the Hour, and in early 1999 issued his own sophomore effort, Can You Still Feel? It was followed in 2001 by Necessity: The 4-Track Years, a collection of home recordings, and Bedtime with the Beatles, a covers album featuring instrumental lullabies of Fab Four favorites.